Do You Need a Bartending License to Be a Bartender? 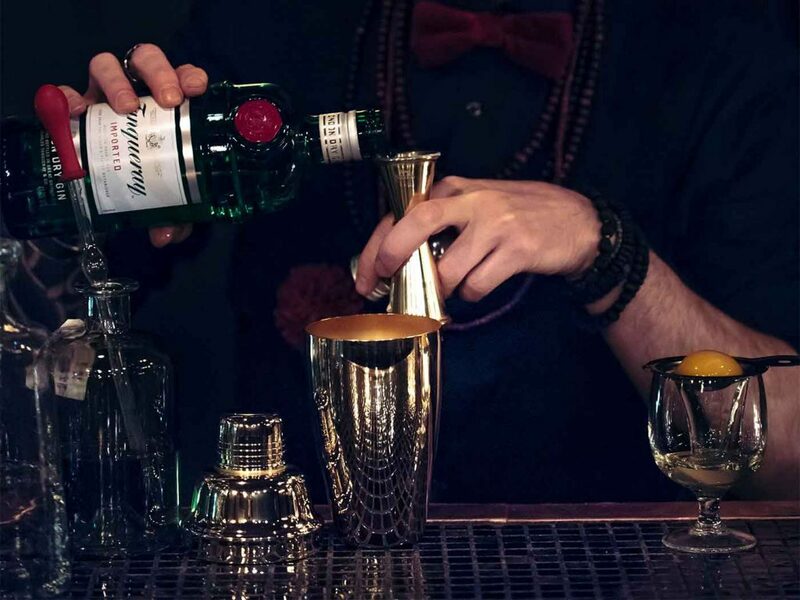 Home » Blog » Do You Need a Bartending License to Be a Bartender? There’s a lot of confusion on the internet around the topic of bartending licenses. Some people say that you need one in to be a professional bartender, whereas other’s claim that they’re a waste of time. Or worse, a complete scam. Part of what makes it confusing is that bartending licenses often comes under the guise of different names. Alcohol awareness programs, responsible service of alcohol programs, liquor service licenses, alcohol service licenses, RSA, and TIPS, are all different labels for what is most often called a bartending license. But the main reason why there’s so much confusion is because they’re often mistaken for a bartending certificate that bartending schools award their students upon graduation. And to make matters worse, some of these bartending schools require their students to get their bartending license as a part their program so they can graduate in the first place! So yes, the whole subject has become incredibly confusing. Hopefully, this article will help shed some light. What is a Bartending License? A bartending license is a license that indicates that you’ve passed a responsible service of liquor-serving program certified by the state’s government. You don’t receive any bartending training per se throughout these programs. Instead, you learn about the dangers of alcohol, the liquor laws in your country, state and city, and how to serve alcohol more responsibly. These programs should also teach you how to identify fake IDs, how to tell if someone is intoxicated, and how to cut someone off. At the end of it, you’ll be given a certificate/license that allows you to legally tend the bar in your state & country. They’re easy to pass, they’re inexpensive to get, and they take less than a day to complete (usually around 4 hours). What about Bartending a Certificate? On the other hand, a bartending certificate is a certifcate that bartending schools award their students upon completion of their programs. It’s nothing more than a piece of paper and it’s more like a participation award than anything – i.e. they mean nothing to industry professionals. One of the main reasons why bartending schools award these certificates is because it’s a selling point. It helps them bring more students through their front door because they make it seem like you need one to get a bartending job. And to make this selling point seem more legit, some of these schools actually provide government certified liquor serving training so that you also receive a bartending license along with your certification. However, the cost of bartending school is far more expensive than the cost of getting your bartending license alone. So if you just want the license without the other training, bartending school isn’t worth it. To clarify, you DON’T need a bartending certificate to become a bartender. However, you may need a bartending license depending on what country and state you’re working in which we’ll take a look at below. Note: Whenever you’re looking for a liquor serving license program anywhere in the world, you must make sure that it’s certified by the government BEFORE you pay for anything. Some courses aren’t certified and they ARE a scam. So please do your research before you pull out your credit card. Whether or not you need a bartending license depends on where you’re from as license requirements vary from country to country, state to state, and even city to city. But in the majority of cases, you will need one. Regardless, I recommend getting one anyway because what these programs teach you is useful. Especially, if you’re new to the bar. And because they’re inexpensive, they’re worth it. It also looks good on your bartender resume. In the chart below, we’ve provided a country-to-country and state-to-state breakdown of bartending license requirements around the world. This is helpful because it means you can quickly look up what the legal requirements are for your geographical area. It’s important to remember that some bars will require you to complete your liquor serving license training regardless of state or city laws. If that’s the case, you’ll be notified when you get the job. Finally, if you work as a bartender in other parts of the world that I haven’t listed below, and you know what the licensing requirements are, please leave the details in the comments section below and I’ll add them to the table :-). Note: Be aware that bartending license requirements do sometimes change. These cases are rare but they exist. To be sure, contact your local municipality for the most up to date legal information. For information on minimum age requirements to be a bartender, check out this post here. Thanks for explaining how some restaurants require you to complete liquor serving license training whether it’s required by state or city laws. Having the right licensing would be important to avoid legal complications so that you and the restaurant are protected. If you need to get one, it would probably be a good idea to find out as soon as possible and then locate a qualified training professional by looking online.